FIRST THINGS FIRST The challenge should be FUN. Do not do anything to push yourself too hard or any activity uncomfortable for you. We are all at different fitness levels. If something is too hard, swap it out with an easier workout that fits your fitness level. That goes both ways. 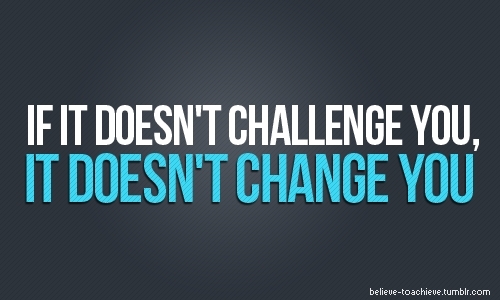 You may be a crazy gym rat athlete who thinks the challenge is too easy, well step it up! 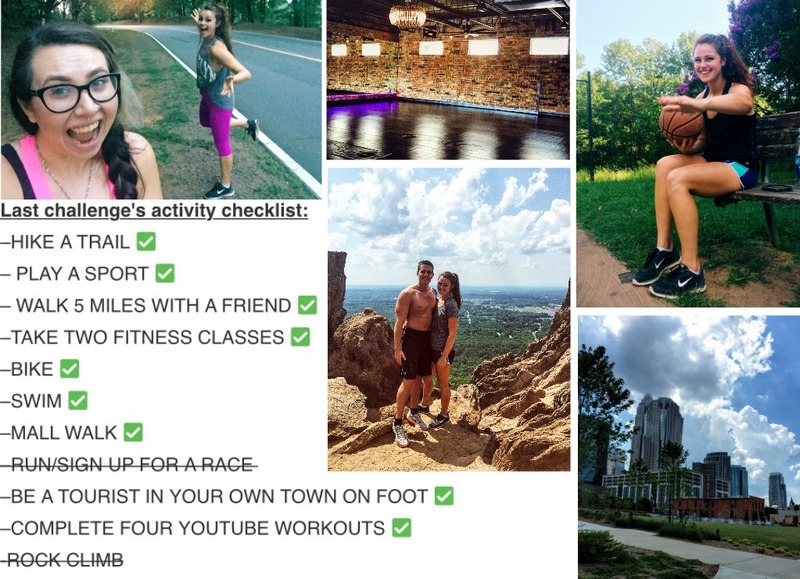 You don’t have to follow my plan to complete the fitness challenge, you can still share your fitness posts/goals and I’d love to see them! My plan is just out there for ideas and a guide if you choose. If you need help finding alternatives, no worries! Just reach out and I’d be glad to help. I also noticed that everyone is quick to help and answer any questions you have on Instagram! I love learning from all of you. I will also be uploading stretching videos and mini circuits to Instagram throughout the challenge. Where are the rest days? Stretching and walking is resting to me! If you need a day to yourself, take it! Listen to your body. This challenge can go anyway you want. You know your limits! Setting goals is key in the challenge. I certainly made some improvements during the last challenge, but I still have tons of work to do. I decided to keep the same goals this month. They are the ones that mean the most to me when it comes to my health and I’d like to keep moving forward with improvement. I upped my water tremendously. I NEVER used to drink water(I know how bad that is.) The only source of water I took in was a from coffee, watermelon and the water I add to my protein shakes. I’ve been drinking water all day and I never forget my water bottle wherever I go! I never liked the taste of it, but the more I drink, the more I crave. I also want to stick to the same sleeping schedule! In bed before eleven and up at six! My diet will most likely stay the same. I’m a repetitive eater, which makes grocery shopping so easy! You can find my grocery list on the last challenge page. 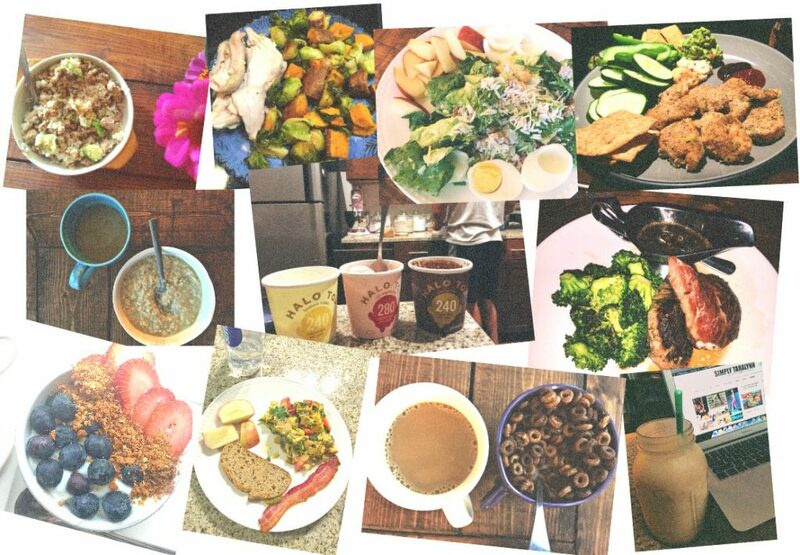 Everyone has different diets, and I advise you to eat what makes you feel the best. Here is what I bought and will be eating most of the time. ? My go-to lunches & dinners: ? *strawberries & dark chocolate chips, *air popped popcorn & dark chocolate chips, *1/2 protein bar, *peanut butter and apple slices, *Halo Top ice cream, *dark chocolate covered almonds, *watermelon & honey *greek yogurt. **I usually go out to eat once or twice a week & cook something healthy and delicious on Sundays for dinner! With all of the fitness activities, it’s important to stay hydrated, eat TONS of healthy calories and get that protein in. I did pretty awesome on the checklist! It would have been great to check them all off (maybe this time!) This checklist will have some of the same activities as July’s. I want you to add three personalized activities to your checklist that you plan on completing before the challenge is up. You can share them in comments too! I love seeing what you guys come up with! -Today is all about challenge preparation. Spend some time writing out your goals, getting some super foods stocked in the house and motivating yourself. 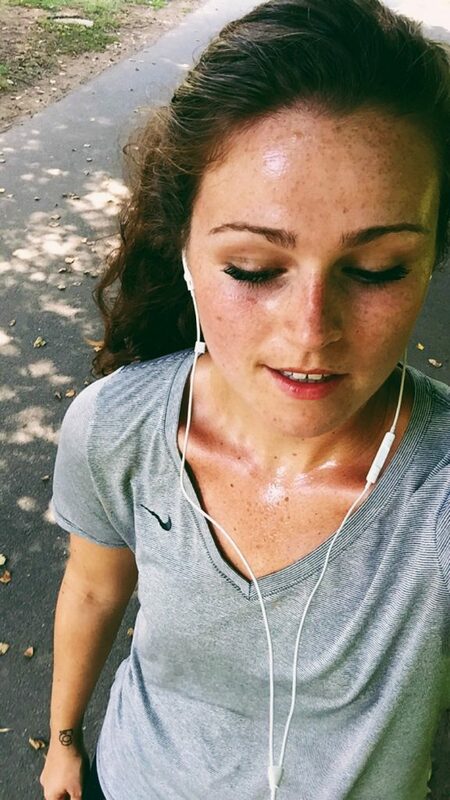 -Make a new playlist for running & walking. -Take a walk or go for a run. -Saturday should be about doing something adventurous. 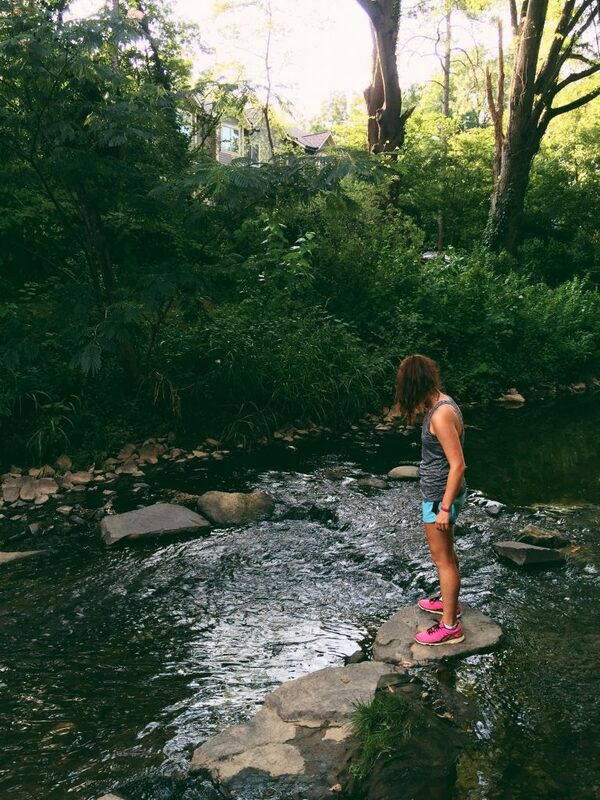 -Hike, bike, swim, or run a trail. -Find a fitness class to do today. Try a bootcamp, yoga, spin class, or anything available! If you absolutely can’t, complete a 45 minute youtube workout video. -Walk 45 minutes at a 17 min mile pace. -Run or Walk 35 minutes. -Run or Walk 60 minutes. 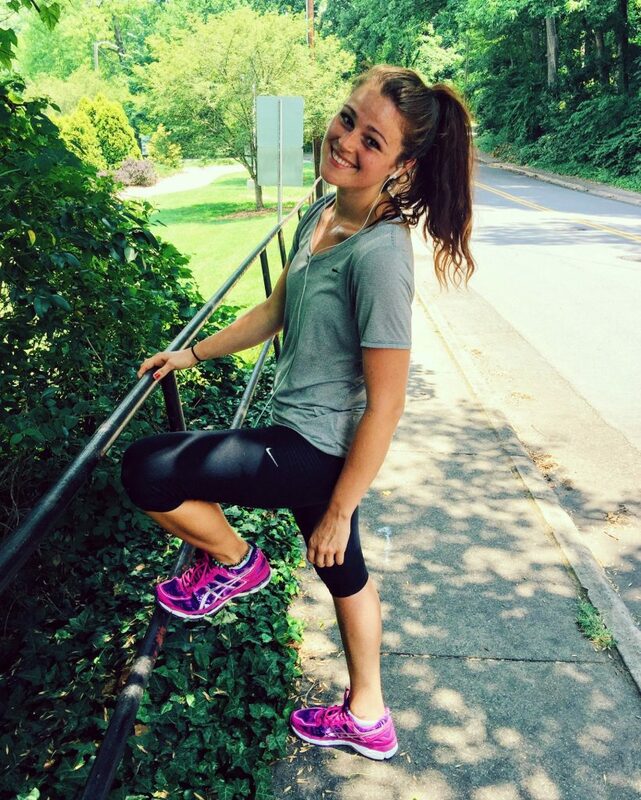 -As soon as you’re finished with your run/walk, complete Runner’s Yoga With Adriene. -Walk or Run 45-60 minutes. 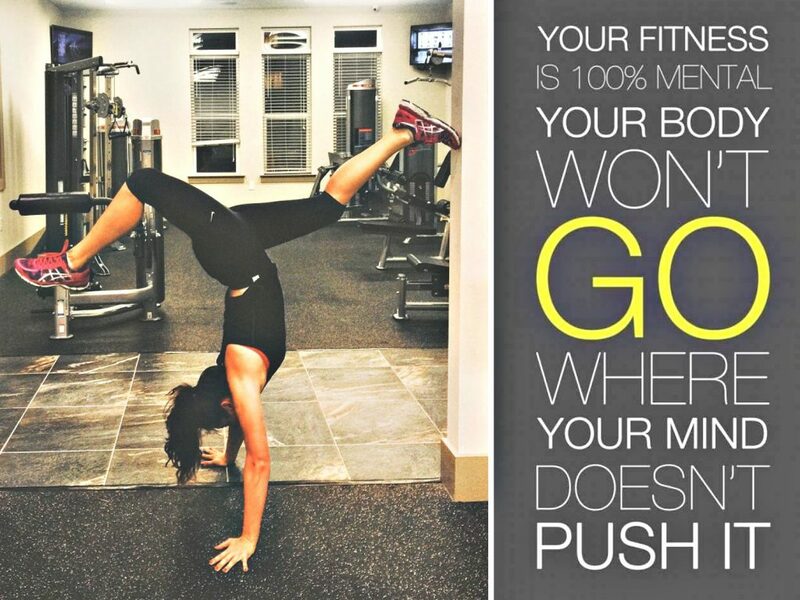 -Find a fitness class to do today! Try your hardest to crawl out of bed early morning to go to a fitness class! -Walk 45 minutes at a 17 min mile pace in the evening. Workout with a friend today! Come up with a fun circuit, go on a hike or join a class together. -End your walk with this relaxing & stress reliving yoga video! -20 (each leg) squat side kicks. Create your own one hour outdoor workout using your surroundings. Upload a photo or video and tag me on Instagram! 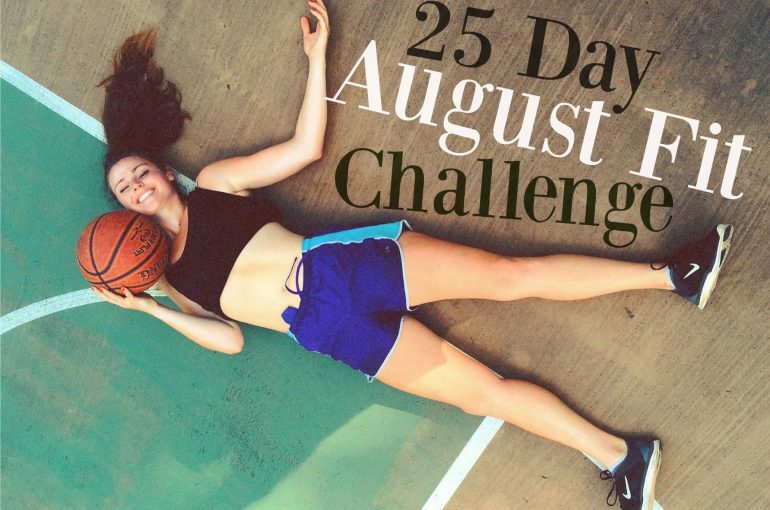 What is something you’d like to improve on during the 25 Day August Fit Challenge!? What is your favorite weekend workout? What is your favorite healthy go-to meal? Will there be a September challenge?! First time commenter here! 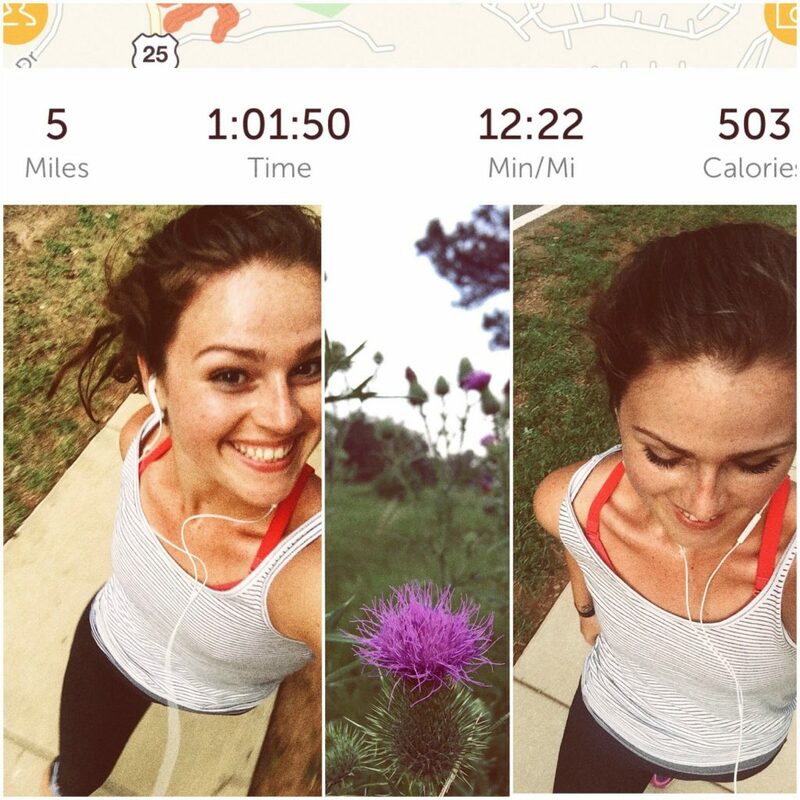 I was wondering what running app you use to keep track during your runs? Goals: consistency and no alcohol in August. My new commute makes it hard to get 4 or 5 workouts in so I’m trying to stay focused and I’ve been noticing that even a glass of wine can make me feel tired and hungrier the next day, so I want to see if taking it out improves my energy and hunger level. Favorite weekend exercise: loooooong beach walks. Current quick meals: I bought a Vegetti a few weeks ago so right now I’m way into cucumber noodles and zucchini noodles for pasta substitutes. And getting in all the summer tomatoes I possibly can. More of a comment than question: with the new layout, I can’t get a search bar to load (i was looking for a recipe), the menu button sort of loads to the left, but no topics appear. I was looking on my phone. It was a tough one for sure! YES THOSE ARE THE BEST. I wish I lived closer to the beach. I am working on fixing some of the glitches in this new layout, including the cell phone features! I need to improve on consistency with my workouts, it’s easy for me to get into lazy mode especially after work!! My favorite weekend workout is yoga, I am not a huge fan of high intensity workouts but I would love to get into weights. My favorite go to healthy meals are salads of course, and I’m obsessed with sweet potatoes! I feel like the more you workout, the more it becomes a habit and the more you get into the rhythm of it. Now when I don’t workout, I feel “off.”It’s such a great way to relax. High intensity workouts aren’t for everyone but it’s always good to try and fit at least an hour of them into your weekly routine! I used to hate them too! I don’t weigh myself ever. I do a body fat percentage at the gym and I’m at 17.4% as of yesterday. I think the scale is awful and never accurate. I let my trainer look at the scale (i turn around) and enter the numbers into the body fat percentage device. is popcorn with butter, homemade, a bad snack? That takes about two weeks to get into the habit of doing. It will stink at first! It helps to get everything ready the night before as well. Saves time in the morning and I always find that the morning hours go the fastest. I also LOVE hiking.& FRUIT! I blog full time, photography, run a clothing line and do marketing on the side. Butter isn’t the best option, but I’m all about everything in moderation. I love the 100 calorie popcorn with butter. So glad you’re doing another challenge, I can’t wait to get started! My favorite go to healthy meal is roasted veggies. Colorful, filling and delicious, it is so quick and easy to make to help me stick to my goals. I love doing Pop Pilates videos and Billy Blanks Tae Bo videos. SO FUN! Honestly, I can’t do this challenge. Unfortunately I am nowhere near ready for this. However, you have inspired me to write out some goals for the month and do my best to stick with them. I “stole” a couple of yours, because they work really well for me as well. I also added a few of my own. Thank you so much for this, it’s the kick in the rear I needed today. Handling my sweet tooth, and avoiding alcohol. Can you tell us a bit more about what stretches you like to do? Sweet tooth is my weakness too. LOVE HIKING as well. Make sure you hydrate if you’re hiking in the heat and humidity. Those are great go-tos and my faves. I like to go on walks as a workout. I’m trying to get into running, but I’m not good at ALL. I work full time at an exhausting job and I have a 4 month old baby. I feel like I don’t have time to work out and when I do, I’m too tired… I know it’s harder for you to relate, but my question is.. How can I find time? So fun! Glad to hear it was such a success. 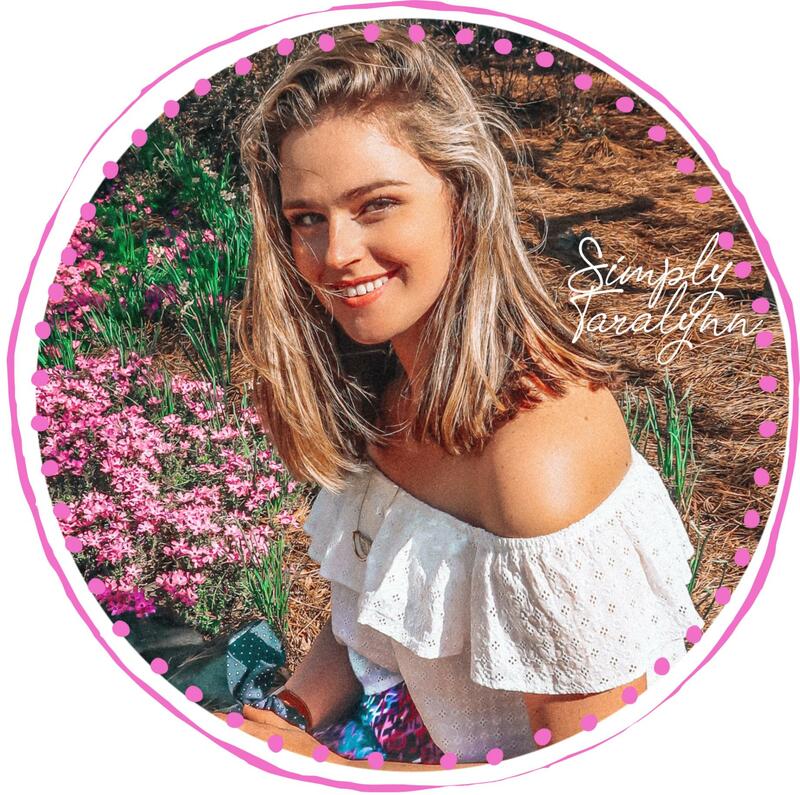 This month I’m doing the Yoga with Adriene 30 day Yoga Camp–love it so far! My go to healthy meal is roasted veggies and sweet potato with some black beans seasoned with some garlic, cumin, and chili powder! 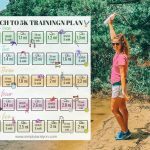 My only question is…could you put the workouts on a printable calendar? I’m SO excited that you’ll be doing another challenge! The challenge looks great! I won’t be around to actually follow it this month, but it will be great inspiration to get on track once I am back in September! I want to control my food intake better. That means cutting down the candy and sugary drinks in summer camp and controlling my portion size. In the weekend I love going on bike rides with my mom. Also the area here is just perfect to do that. I love vanilla greek yoghurt and mix in whatever fruit or granola comes my way. Those are all GREAT goals. Sounds like a fun way to stay active and I love that your mom joins along! 1. Psyched for this! 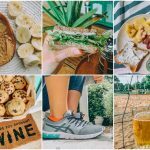 Loved seeing all the Insta posts last time around, always great to see what others are eating or doing to stay fit. I’d like to improve on all around fitness – I’ve decided I won’t be doing a half marathon this fall, which is sad, but I just don’t feel like I have the time to dedicate to training these next few months. So, I want to focus on even more cross training, and using circuits to accomplish cardio & strength in one fast paced workout! 2. Girl, you know I love me some hiking! 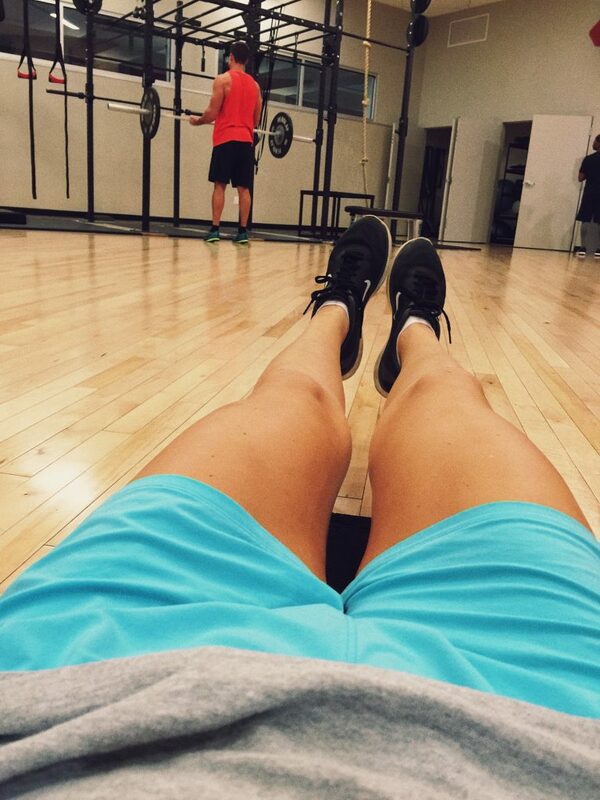 But seriously, 99% of my week day workouts are done solo, so I love working up a sweat with friends on the weekends. If I can’t hike, a long bike ride is my other go-to. 3. Right now it’s whole wheat pasta with chicken & loads of veggies. Or a big ol’ salad with tons of veggies & odds & ends. 4. Questions for you…maybe you have some fitness certifications already, but have you thought about personal trainer or nutrition certifications to do something like health coaching? What are some of your favorite cereals? I’ve shied away from them in recent years because so many seemed to have such a high amount of sugar per serving. I agree. I loved that as well. I love running to improve and not feeling rushed in my training. I know races give me anxiety and make me feel like I have to get fast in a short period of time. I think I’ll sign up for a race when I’m ready and don’t have to train so hard !Great you still want to run and focus on circuits! I love hearing about your activities! I seriously wish you lived by me! YUM!!!! those are all my go-tos! I havent. I LOVE fitness and eating right, but not enough to make a career move with it. Honey Nut Cheerios with almond milk! I always eat it before a run so I feel like the sugars are used and burned. THANKS GIRL!!! :):) Just trying to get on your level! So excited for this challenge! 1. I’d really like to improve my strength training. I’ll go hard for a couple of weeks and then just do it sporadically. 2. Bike rides! I freaking love them. I mean it’s just a cruiser, but I make sure to go on trails with a good amount of incline. 3. Go to meals.. a plate full of roasted veggies , fruit and some kind of healthy whole grains. brown rice or something. 4. When you do your workouts do you do them all at once, or do you spread them out through out the day.? I like to do cardio in the morning and then strength in the evening after work. Is that just as effective? yum! roasted veggies for the win! I usually do my morning walks and then all my other workouts in the evening. During the cooler months, I do them during the day. 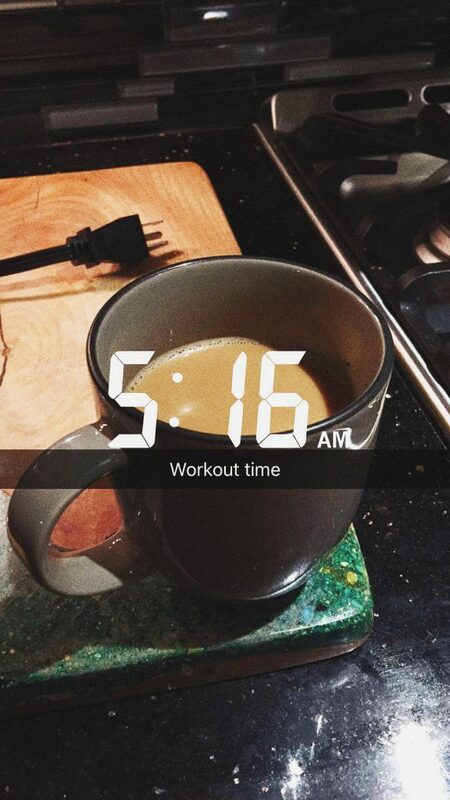 No matter what time of the day you workout, it’s always effective! Thanks so much for doing this again! Yay! I’ve been looking forward to this post all week! So excited! I have to admit, I’ve kind of already been using the #augustfitchal on my instagram posts…. 😮 Thanks for doing another one; I really appreciate the encouragement and motivation from everybody else! 1. I’d really like to improve my running — run longer and faster, but also heal up my IT band syndrome. 2. My favorite weekend workout is a good hike with friends or my husband. There’s several beautiful trails outside of Casper and I’m excited to explore the ones I haven’t discovered yet! 3. Hehe…oatmeal. 🙂 It’s my breakfast almost every single morning. My go-to recipe is 1/3-1/2 cup oat bran, one scoop Orgain Chocolate Fudge protein powder, one frozen banana, and almond milk. So yummy, filling, and healthy! 4. Yes, I do actually! Have you ever had issues with runner’s knee or IT band syndrome and, if so, what did you do to heal them? Mix all ingredients except for cinnamon sugar. Once the dough is a workable consistency, form small balls in your hands and then roll them in the cinnamon sugar. Place on a greased baking sheet (they’ll spread a little, but you can place them fairly close together). Bake at 375degress for 15 minutes. Hey Lauren! I can’t wait to follow you again this month! You were so inspiring and motivated. Running is all about taking care of that IT BAND! & you should definitely look up some awesome stretching on youtube for it! I love seeing your bike posts! They always inspire me to get out there on my bike! Funny reading that comment, I’m eating oatmeal right now! & THANK you for the snicker doodle recipe! YES. I’ve dealt with runner’s knee & achilles tendonitis. I completely stopped running so I could heal. I went on light walks with Grumples and started swimming in the mornings! I’d LOVE THAT! I went camping in Wyoming when I was in 7th grade and I’ve never forgotten about it! I’d love to do that again. 1) Something I want to do for the August fit challenge is to get a gym membership and utilize it at least 2x a week. However, I like that for most of the challenge days I can be outside! 2) My weekends usually consist of working, but I like to do yoga. For a little extra boost I park really far away from the door at work (extra block or two) and get more steps in that way! 3) My favorite go to meal is spicy Thai vegetables, rice and baked chicken. It has a peanut sauce that is to die for! 4) I am intimated to go to the gym. What’s the best way to start as a beginner? I love to mix it up and use the gym + outdoors! That’s why I love walking and hiking followed by circuits. & yum! Sounds like a great recipe! DON’T BE INTIMIDATED. I can’t believe I ever used to be. People are there to workout and hardly care what anyone else is doing. Just focus on you, do your workouts and have fun! 🙂 I sometimes like to learn from others at the gym or youtube workouts and bring my new ideas to the gym! So excited for this challenge! Thank you. 1. 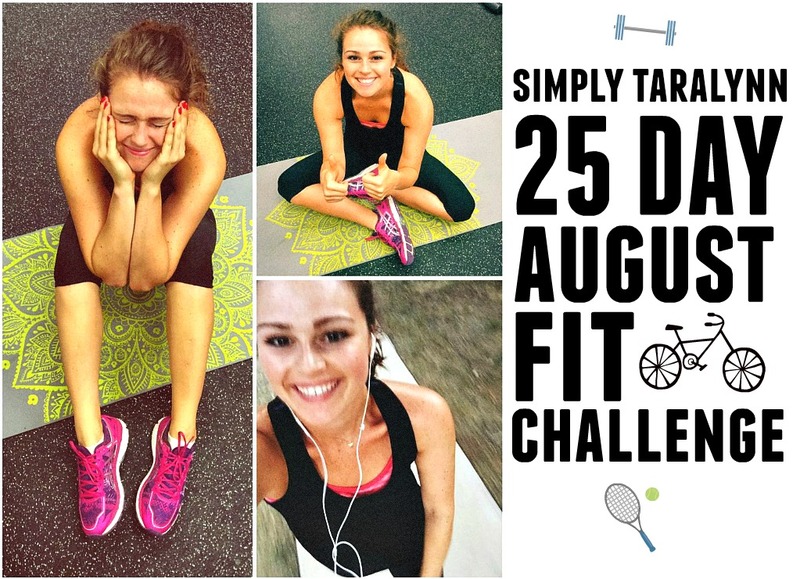 What is something you’d like to improve on during the 25 Day August Fit Challenge!? I want to up my running distance and pace, and control my portions better. I don’t eat badly, most of the time, but I can’t seem to portion control. 2. 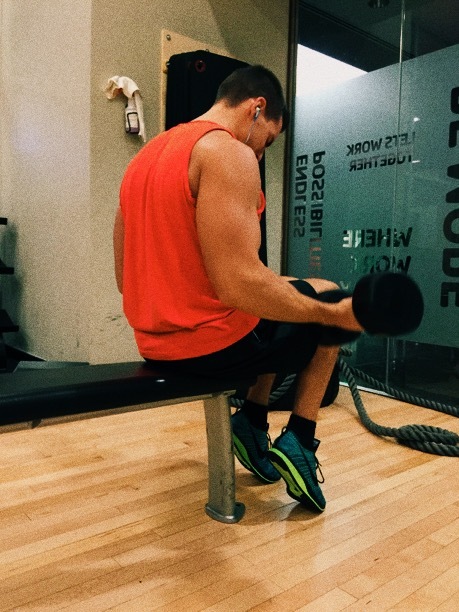 What is your favorite weekend workout? Hikes! I miss hiking. I don’t do well in this heat so I haven’t been for a good hike in awhile. Otherwise, playing roller derby. 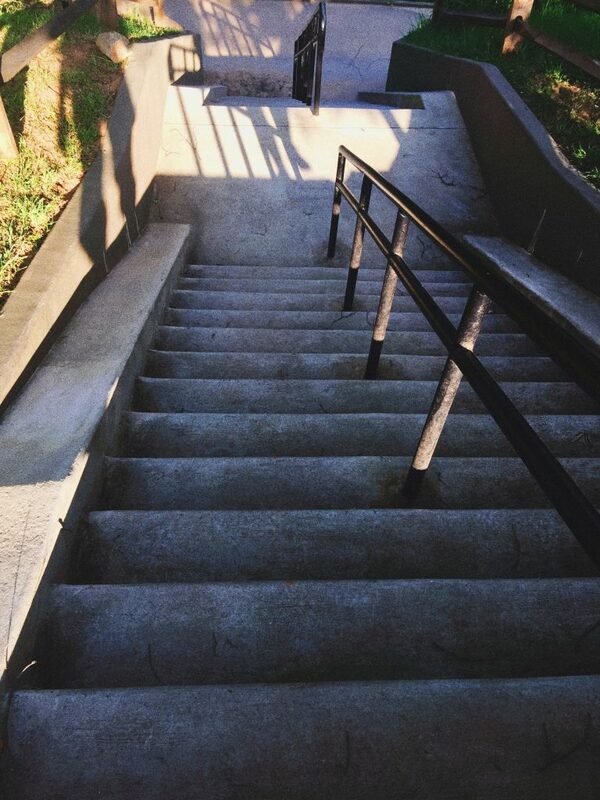 That’s always a fun workout, but after a knee injury I’ve been out for a few weeks. Getting back into it this week though. Slowly but surely. 3. What is your favorite healthy go-to meal? Poached eggs, sauteed spinach and an English muffin. I can have that for breakfast, lunch or dinner. Delicious! What are some of your favourite songs to run to? Those are all awesome goals. Roller Derby? What a cool workout! Love that. That meal sounds so good!!! I plan do better at following the designated workouts, also will add some weight training to my weeks! A long bike ride! Usually a 40 or 50 mile ride is about right for a great workout. Plus it’s a fun activity that my husband and I enjoy doing together! Breakfast is easily those two-ingredient protein pancakes, lunch I would say a kale salad with goat cheese and beets, and dinner is chicken over quinoa and salad. What is your go-to fitness tracker technology? I’ve tried Nike+ bands, JawboneUP bands, and Runkeeper but I haven’t found a system I really like. Sounds like a great plan! I’d love to see some of your weight training! Wow such a long ride. I’m always impressed when people can ride that far! I’ve done it a couple times but I’m always hurting afterwards. Kyle’s dad goes 50-70 miles daily!!! It’s insane. SO STRONG! I also love that you and your husband ride together! YUM! <3 my pancakes too! Sounds like my kind of dinner as well. I’ve been following you for so long! Love all your posts! I was wondering how long after you eat dinner do you then eat dessert? Also do you eat every 2-3 hrs or do you eat based on when you’re hungry? I don’t really plan anything like that. I only eat dessert if I’m craving it and usually later on in the evening. I eat when I’m hungry which is naturally every 3-4 hours! I just listen to my body.